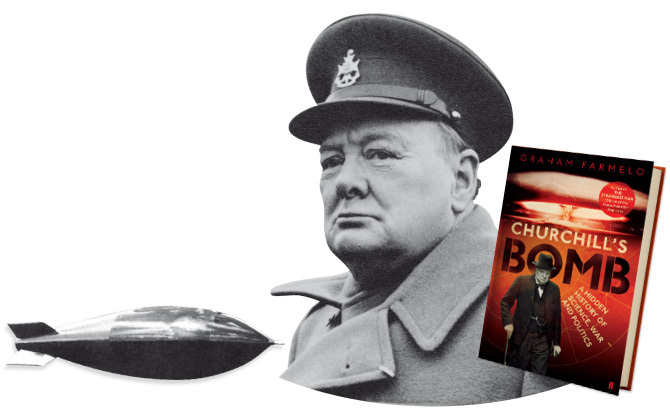 Winston Churchill was a nuclear visionary, repeatedly warning before World War II that the nuclear age was imminent. 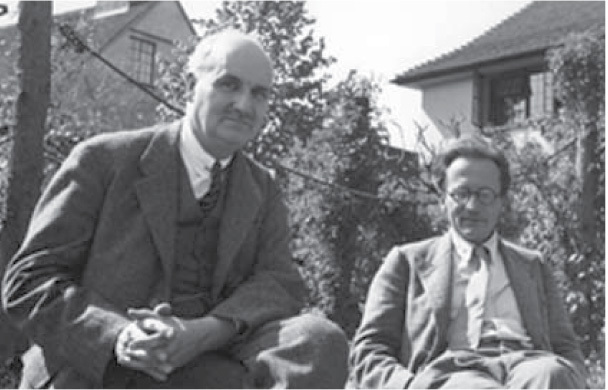 Early in WWII, physicists in Britain showed that the Bomb could almost certainly be built. 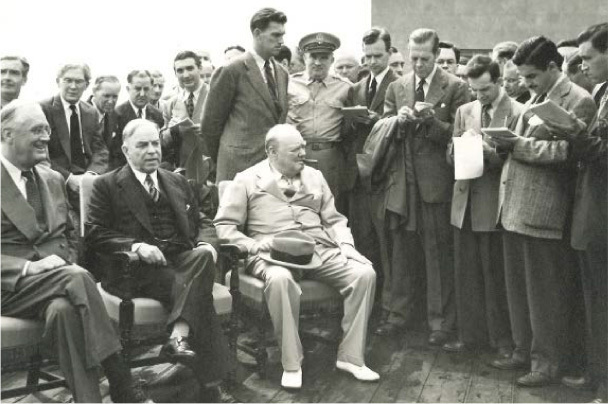 Prime Minister Churchill paid only fitful interest in the speculative weapon and the initiative soon passed to the US, which had the vast resources needed to realise the venture. 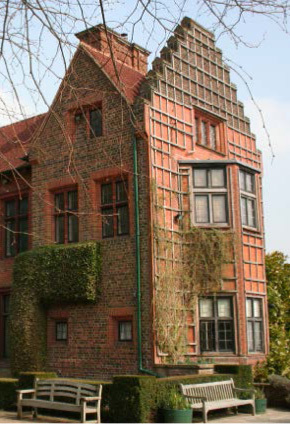 British scientists played only a minor role in it. 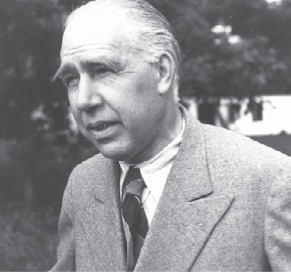 Churchill dismissed warnings from the Danish physicist Niels Bohr that Anglo-American nuclear policy would lead to an arms race. 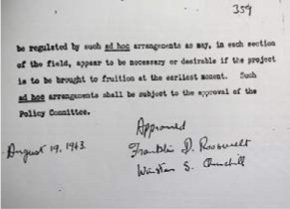 After the war, the US government declined to honour a personal agreement between Franklin Roosevelt and Churchill to share their countries’ nuclear research. 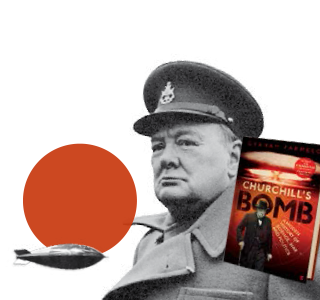 After Churchill returned to power in 1951, during the Cold War, he became the first British leader to have nuclear weapons, and also commissioned the H-bomb. 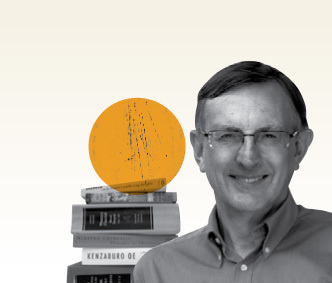 Appalled by the prospect of thermonuclear war, he ended his political career as pioneer of détente. 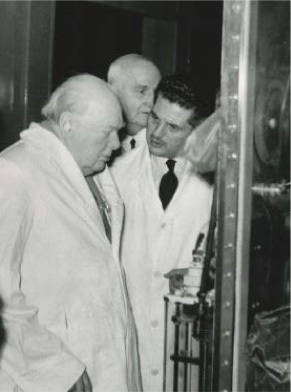 Churchill was interested in basic science – in 1926, he was captivated by atomic physics and chaired a talk seven years later on the epoch-making nuclear discoveries made at Ernest Rutherford’s Cavendish Laboratory in Cambridge. 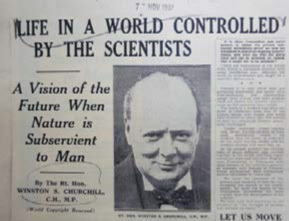 As a journalist in the 1920s and 1930s, Churchill wrote several widely-read articles speculating on the possibility of nuclear weapons and the prospect of nuclear power. 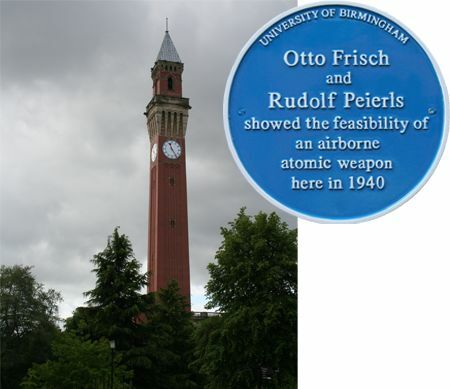 Shortly before Churchill became Prime Minister in May 1940, two ‘enemy aliens’ at Birmingham University – Otto Frisch and Rudi Peierls – the first understood how to make a nuclear weapon. 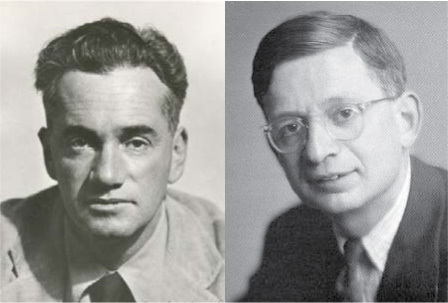 British physicists developed their ideas, which were later fully realized in the Manhattan Project. 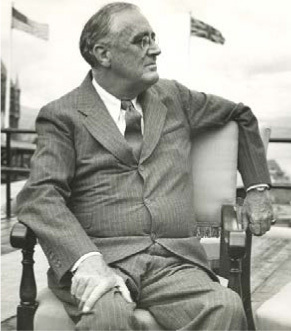 Confronted with American attempts to shut down nuclear collaboration, in August 1943 Churchill signed a secret agreement with President Roosevelt. 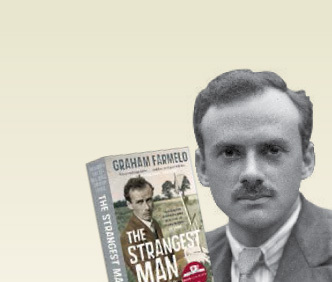 This enabled British scientists to re-engage with the Manhattan Project, and cemented an Anglo-American partnership. The deal fell apart after the War. In May 1944, the great Danish nuclear physicist Bohr met Churchill and warned him of the dangers of a post-War arms race. The meeting was a disaster. 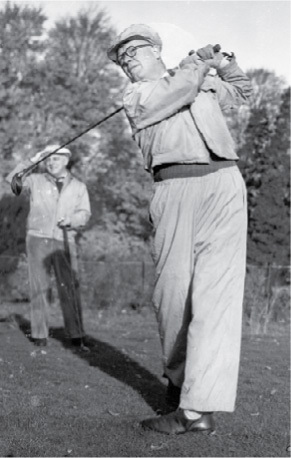 Bohr had a similarly fruitless meeting with FDR. Both leaders wanted nothing to do with Bohr’s ideas. 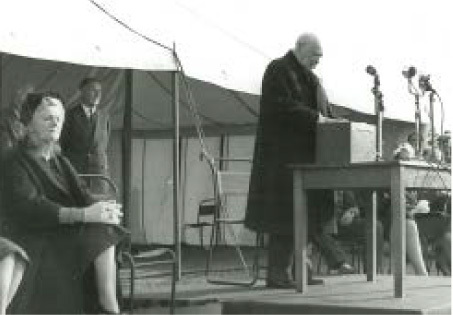 Thanks to William Penney – ‘the British Oppenheimer’ – Churchill presided over the first detonation of a British nuclear bomb in 1952. He then promoptly commissioned the H-bomb despite terrified by the prospect of thermonuclear warfare. 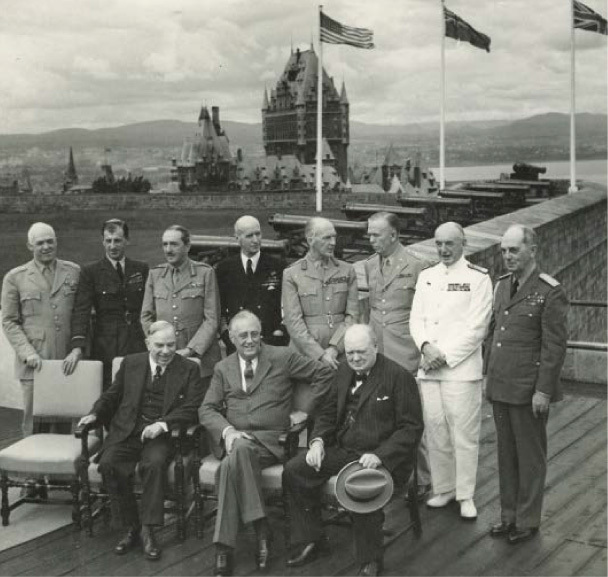 After leaving office, Churchill remained interested in the British nuclear programme. 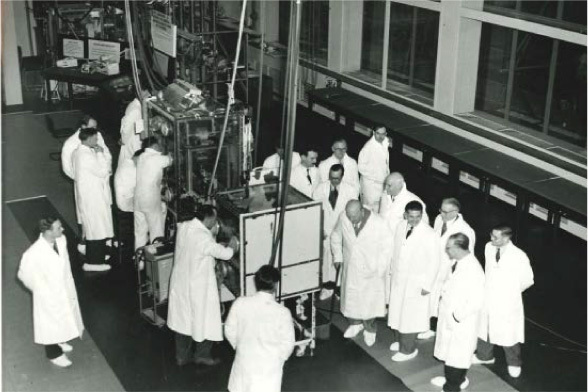 In his early eighties, during a visit to the British government’s nuclear research centre, he participated in an experiment to scatter neutrons. 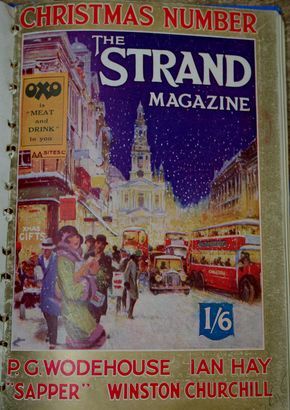 In the mid-1950s, Churchill decided to set up a new institution that would increase the number and the quality of Britain’s science and engineering graduates. 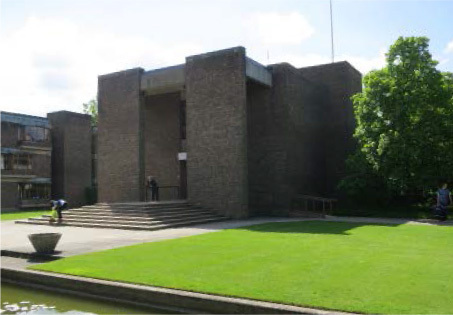 The project became the building of Churchill College, Cambridge, whose first master was the nuclear pioneer John Cockcroft, one of Rutherford’s students.